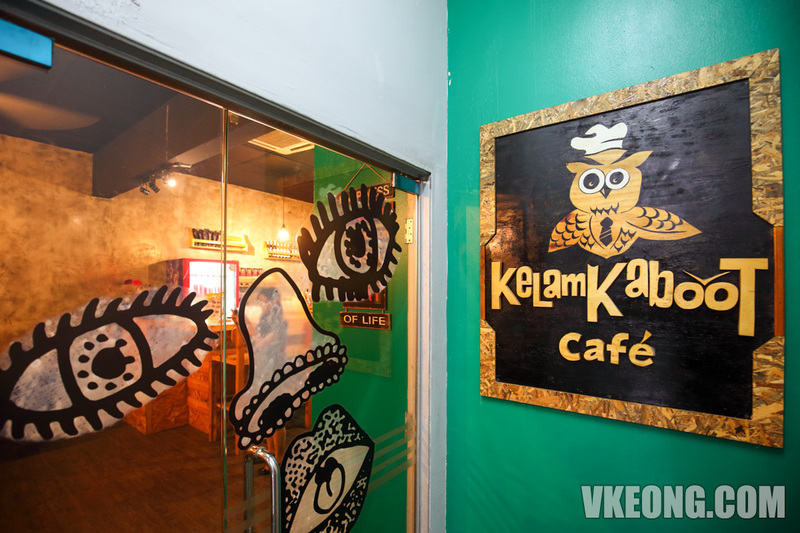 Honestly, I did not expect much when we stepped into Kelam Kaboot cafe. 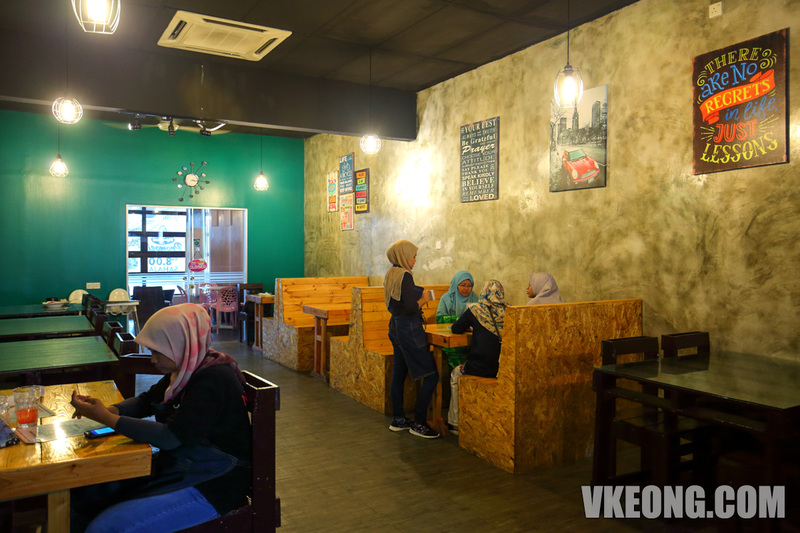 First, the cafe serves both Korean and Italian food, plus it’s Malay owned so the dishes are halal. 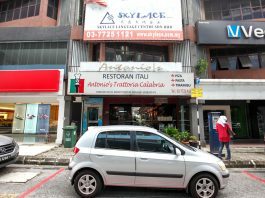 Korean food, Italian food and halal – these words just don’t go together. But I am glad I was wrong, as the meal turned out pretty good. 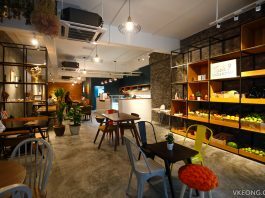 For those who are looking for halal Korean food that’s actually decent and moreover, cheap, Kelam Kaboot cafe gets my vote. How cheap exactly? 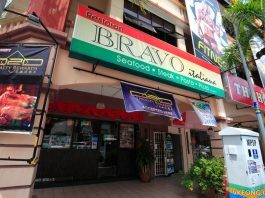 RM8 for a main course and it also includes a drink! Just to be clear, these RM8 items are only available in the promotion menu valid till mid of Dec 2017. Since they are so affordable, most customers would order 2 of them for themselves. 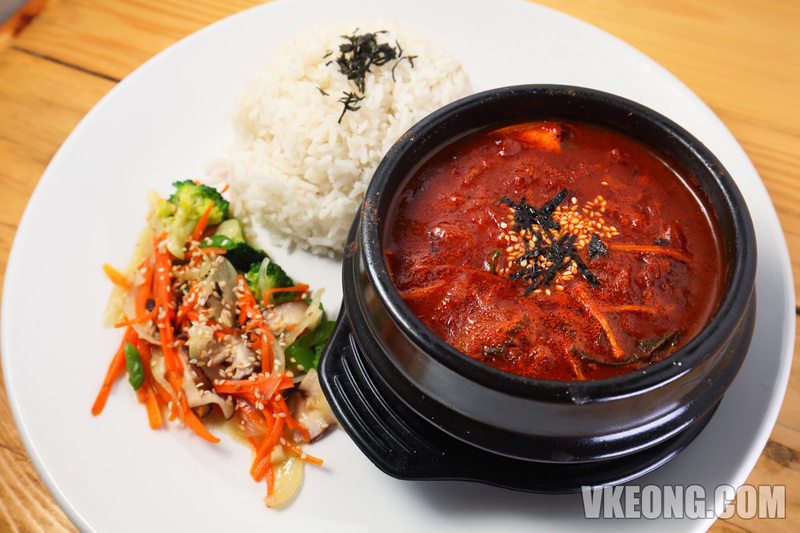 The Asam Pedas Kimchi (with sardine) is a clever fusion of Malay and Korean cuisine that simply works. It still retains the unique hot and sour flavor of asam pedas but has a stew like consistency. It was unexpectedly delicious and apparently the recipe is not a secret among Malay home cooks. 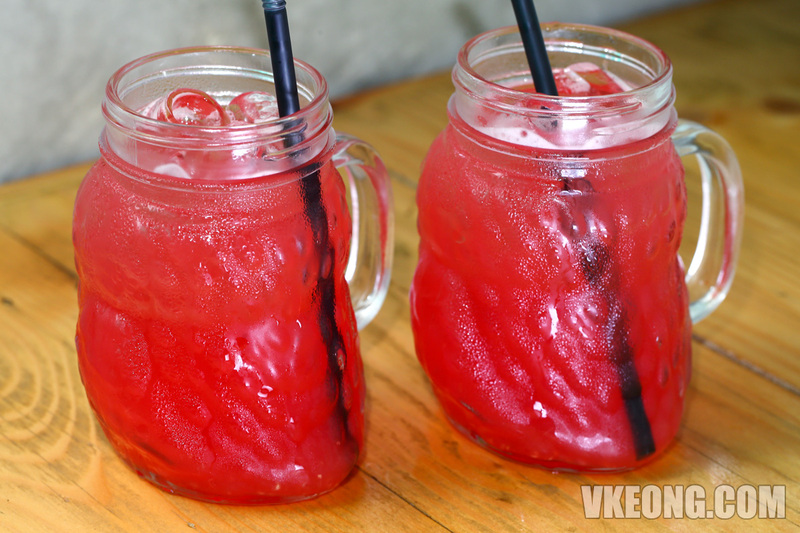 For something fun, try the Shaking Bibimbap. It is served in a lunch box so all you have to do is give it a vigorous shake to let the rice and toppings mix thoroughly. 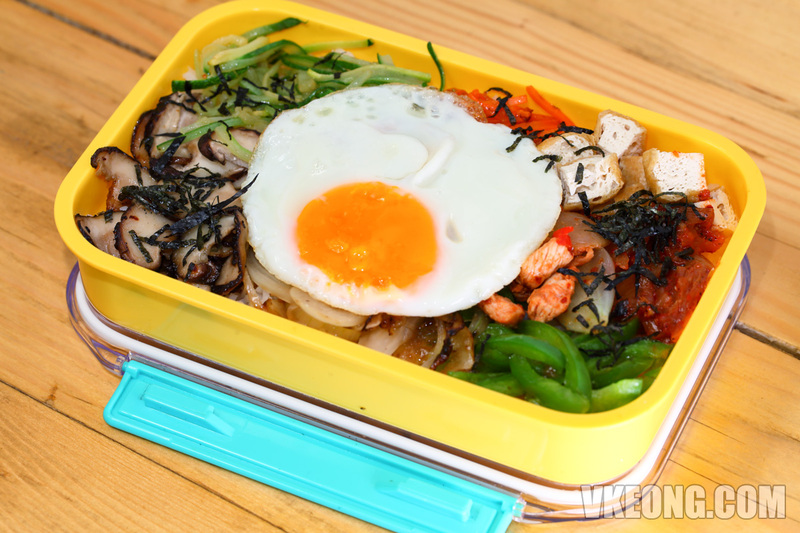 Although it looks like there are only vegetables, the Shaking Bibimbap also contains some cubed chicken breast underneath the egg. 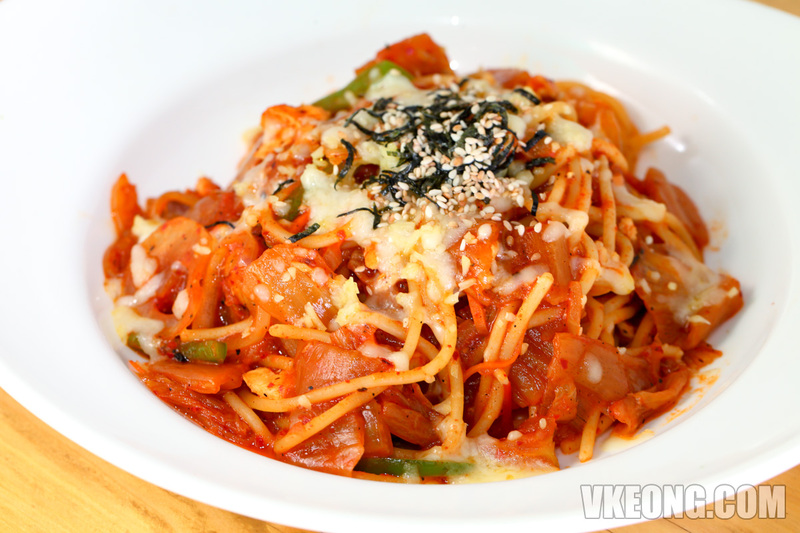 Another dish that I truly enjoyed was the Fried Kimchi Spaghetti. I found it to be extremely appetizing and packed just the right amount of heat, very nice for something that appears so simple. 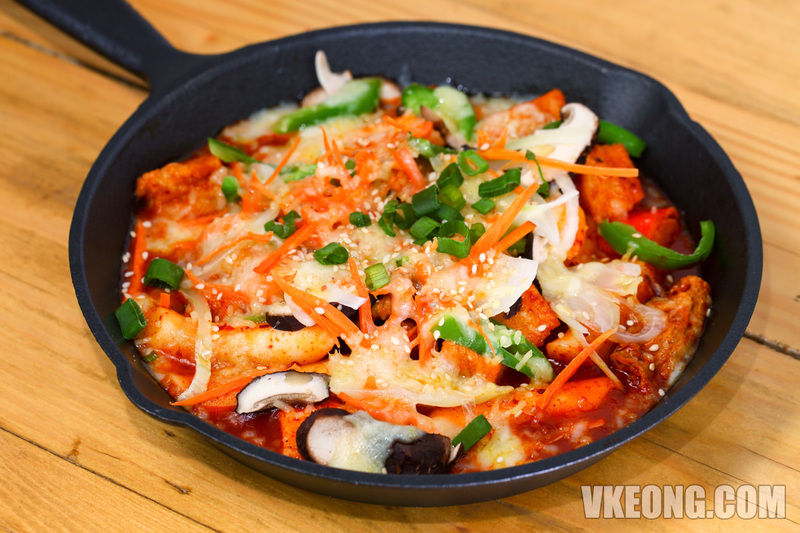 The Spicy Chezy Topokki @ RM16.90 has Korean rice cakes, fish cakes and vegetables sauteed in a sweet and spicy sauce. Then, a mix of cheddar and mozzarella cheese powder is sprinkled on top, albeit not a lot so there’s no cheese pull. As a snack it’s quite filling and can be shared by a couple of people. 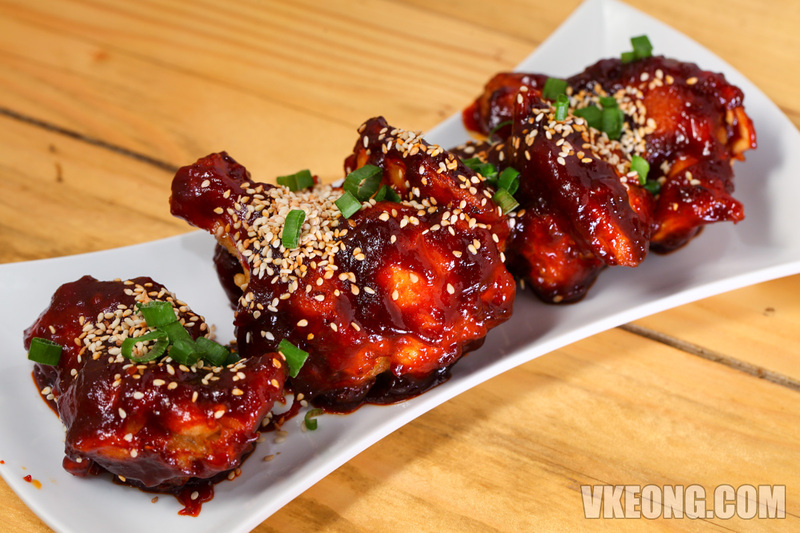 And of course, Korean Fried Chicken (5pcs) @ RM13.90 is on the menu. 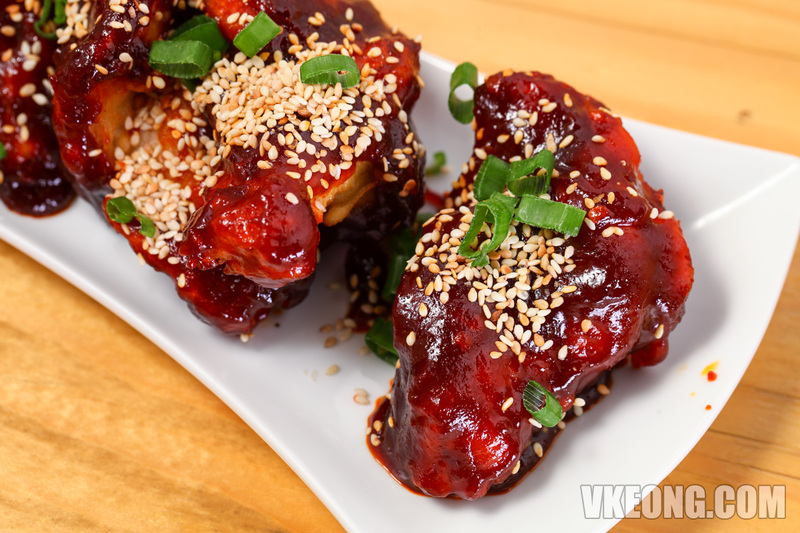 The sauce is prepared fresh with a spoonful of sambal for color and heat, so it’s a fusion of Malay and Korean. It was lip-smackingly spicy, but I think it would have tasted even better if they reduced the amount of sauce. Overall, the lunch was an enjoyable one. No doubt they still have room for improvement and there are a couple of things I am sure some people would complain about, but I won’t because the price was simply too reasonable.